We believe that the benefits of email archiving should be affordable for all organizations, which is why Mail Archiver is priced intelligently. 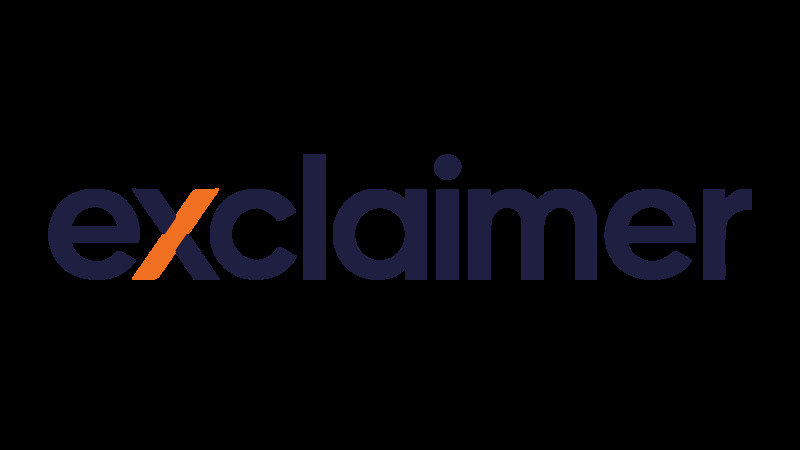 Based on a one off per user charge, our Exchange archiving software is up to 60% cheaper than other competing products. Mail Archiver is easy to install, has a low cost of ownership and stores all emails as flat files meaning no SQL Servers or Enterprise CALs required. No need for PST files - PST files go missing, get corrupted and are hard to search. Batch-import all your organizations’ PST files into one central store, making your email archive secure and easy to retrieve. Flexible search UI - Let users search their archived emails from wherever they are based via a smartphone, tablet, PC or web-enabled device. Pull mail straight from journaling for maximum reliability - If Exchange is unavailable or inoperative for any period, the software can always resume archiving from where it left off. No email ever gets missed. Keep your Exchange server clutter-free - Make sure your emails don’t impact your Exchange server’s performance. Using email archiving makes long term storage far more efficient than maintaining emails within Exchange. Use dedicated single-instance storage - We exercise single-instance storage and de-duplication, so all identical emails are saved only once to put less burden on disk space. Mails are compressed and optimized for storage purposes, so oversized attachments and emails sent to an entire distribution group cause no issues. Save to numerous mail stores - Archive across multiple stores with complete confidence. Our Exchange archiving software uses a simple Windows file system-based core, letting administrators move, migrate and back up all emails using tools they are familiar working with. Set up rules for where emails should be saved to - Emails that meet certain criteria can be archived differently using the software’s rules engine, e.g. archive recent emails to local mail stores and send older emails to the Cloud. Apply search permissions - Users will be able to see their own emails by default, but they can also be given cross-mailbox access to another user’s mailbox or a whole group. Using Outlook - Make it really easy for users to find their emails. With the software’s fully featured Outlook Add-In, users can locate a single email among thousands by using simple browser based technology. The Add-In works seamlessly with Outlook 2019, 2016, 2013, 2010 and 2007. Using any device that connects to the Internet - Perfect for an employee working away from the office. Anyone who uses a smartphone, tablet or other device with a web browser can easily access the archive store via two types of UI. Filter search queries - Search for emails using any search terms you require. 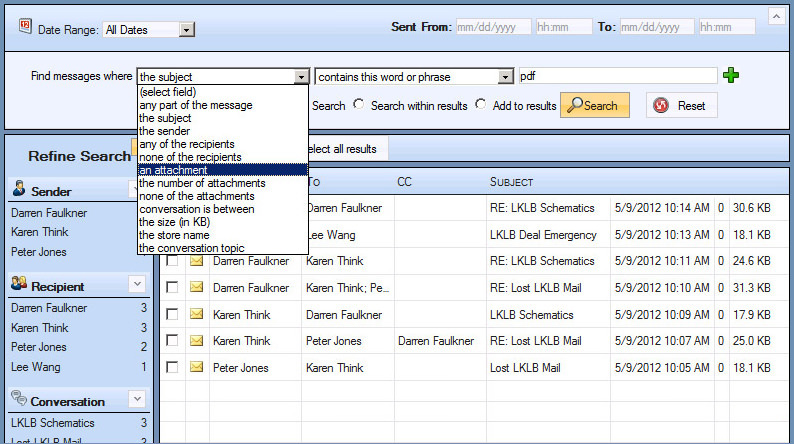 Refine your query to search for only the email you need, providing exceptional time savings. Retrieve lost or important emails - Restore any email to any Exchange mailbox folder with no need for IT assistance. Choose a single email or even a complete conversation to restore as if it never left in the first place. Search on words, date ranges, senders and more - Users can search for emails using words, like a search engine, but also via specific addresses, subject lines, time periods, attachments and more. Comply with email retention regulations - Use necessary legal and retention features to comply with international laws such as GDPR, Sarbannes-Oxley, HIPAA, ISO 9000, the UK Companies Act and beyond. Implement a legal hold within minutes or devote a special archive to emails that have to be retained. Set up audit trails - Get a complete insight into all users’ archive searches and changes through the event log. Meet eDiscovery requirements, such as Freedom of Information requests, simply and easily. Choose to record configuration changes, store updates, end user activities or a combination of all three. The choice is yours. One install + one console + no database management = total control - Start archiving and searching in minutes. Download the software, define your rules, set up your stores and go. It couldn’t be easier and our team of Microsoft Certified Professionals (MCPs) will be on standby to help via GoToAssist®. Low overheads - Eliminate the need for risky overheads by not having to purchase expensive hardware. This means you don’t have to spend any money on a SQL Server or any other third party hardware/software solutions. Built on trusted technology - The software is built so that it integrates perfectly with popular Microsoft applications. It uses elements of the Windows file system for indexing, as well as allowing you to write all archiving activity to your Windows Server event log. Self-contained software - We use our own indexing technology that allows emails to be archived to any storage medium that can hold files and folders (DAS, SAN, NAS, cloud-based drive, etc. ).